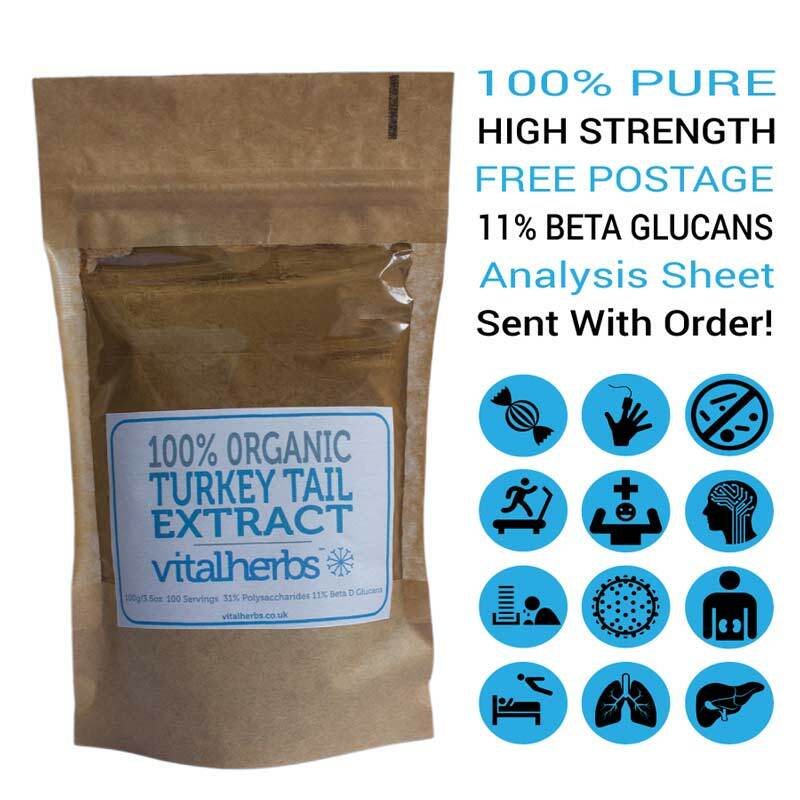 Organic Turkey Tail extract powder is perfect for you if you want to boost your overall health, improve your ability to recover from illness, decrease the amount of time you feel less than 100% or just kick start your new health regime! Strongly antioxidant, organic Turkey Tail extract powder can support the immune system, increases energy, and boost overall health. 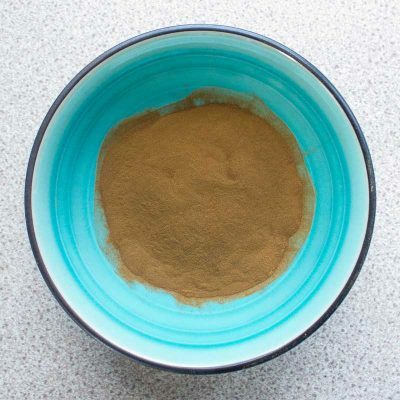 It also may help to reduce phlegm, combat respiratory ailments, poor digestion, urinary infections, inflammation, liver ailments, and hepatitis B. Shipped in heat sealed resealable stand up pouches to maintain freshness. Grown on wooden logs as nature intended. 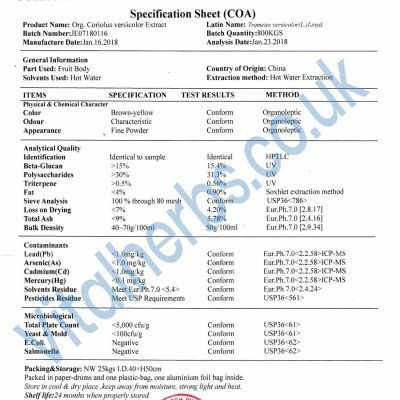 Proof of quality sent with order. No added starch, mycelium, or grain of any kind. Dosage-Add 1/4 to half a teaspoon of organic Turkey Tail Powder extract to warm water, a smoothie or your favorite hot drink. Turkey tail gets its name because its colors and patterns resemble the tail feathers of the wild turkey, however, the colors of turkey tail can vary, hence the name versicolor. Turkey tail is a common polypore bracket fungi that is easy to recognize, and is found the world over. In Asia, turkey tail is a highly regarded medicinal herb, and has been used in medicine for centuries. In China, it is called Yun Zhi, and in Japan, Kawaratake—“cloud mushroom,” and goes by the scientific name (Coriolus versicolor). A promising new clinical study shows that the turkey tail mushroom (Trametes versicolor) improves the immune systems of breast cancer patients. The multiyear study, funded by the National Institutes of Health (NIH), tracked whether or not turkey tails could positively affect the immune system of patients rebound after they ended their radiation therapy. The study titled “Phase I Clinical Trial of Trametes versicolor in Women with Breast Cancer,” recently published in the ISRN Oncology Journal, shows that turkey tail mushrooms can augment conventional therapies for treating breast cancer by increasing NK and CD8+T cell activity. This study suggests that turkey tail mushrooms are an effective adjunct to conventional chemotherapeutic medicines and radiation therapy. 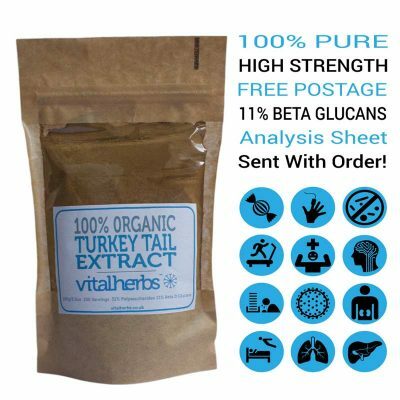 Here at Vitalherbs we are very pleased to have found a organic Turkey Tail extract powder that is not only totally organic and rich in all the essentials such as triterpenes, polysaccharides and beta glucans but is also made from the fruiting body of the Turkey Tail fungus. We believe that keeping things as close to how nature intended is of paramount importance so our organic Turkey Tail extract powder is grown on wooden logs. To maintain, as much as we can, how it would have grown if in its natural state. The Turky Tail fungus that is formed is then put through a extraction technique using hot water. 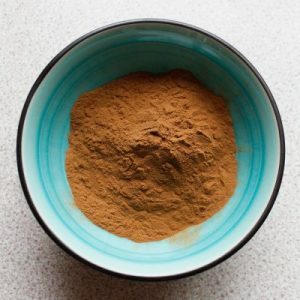 This makes sure that both the polysaccharides and beta d glucans are taken from fungus leaving nothing behind. 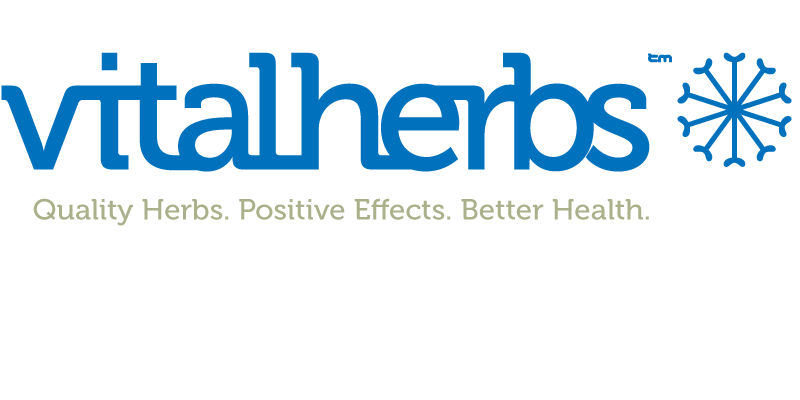 From our perspective not all herbal extracts are created equal and we pride ourselves on creating a medicinal extract powders that not only say they are amazing but can prove these claims. 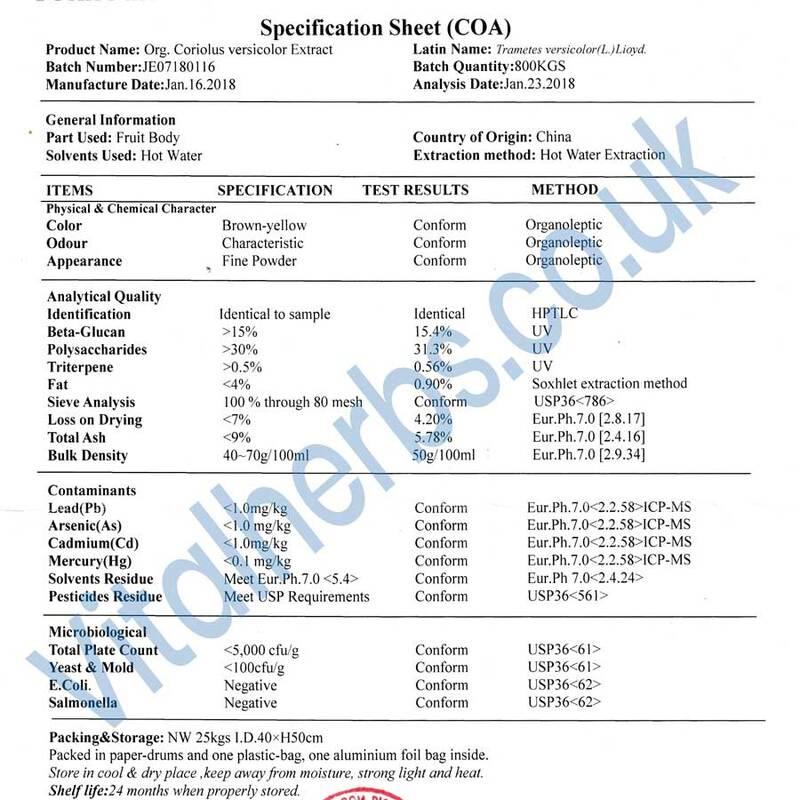 So to back up our claims of purity and strength all our medicinal mushroom extracts come with a detailed analysis that is made at the time of production. Sent very quickly. Good packaging. Great in soup! 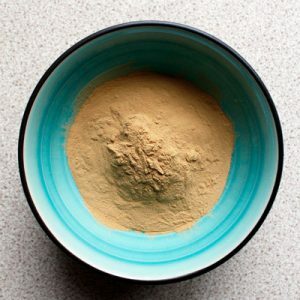 I love the earthen colour of the powder which matches its wonderful taste. Quick delivery and the product looks great. We are taking it daily. 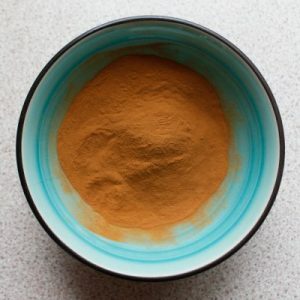 First time I have ever used mushroom powder as a drink as part of my natural healing protocol. Very enjoyable flavour. The aftertaste is a little like coffee which is quite pleasant. 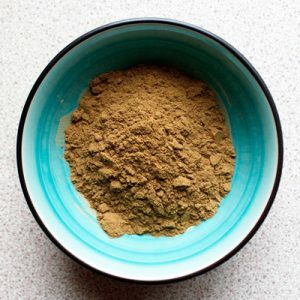 I will try the other powders too though Turkey Tail is recommended for my condition.